In January 2014, a newborn in Texas died after being birthed at home in a recreational water pool supplied by a certified midwifery center. At six days old, the infant was admitted to a pediatric hospital suffering from respiratory failure, loose feces, and cyanosis (a blueish discoloration of the skin caused by inadequate oxygen circulating in the blood). Because they knew the circumstances of the water birth, clinicians including testing for Legionella bacteria in their battery of diagnostic tests; on the fourth day of the baby’s hospitalization, the tests confirmed that it had contracted L. pneumophila serogroup 1. The child died fifteen days later. And, although rare, water birth-associated infant deaths from LD have occurred frequently enough that researchers recommend against the practice. In 20013 and 20044 research studies by the Infectious Diseases Unit at the University of Turin, Italy’s Department of Pediatric Science, the authors describe how a 7-day-old newborn contracted LD from a hospital’s birth pool water contaminated by L. pneumophila serogroup 1. TDSHS has subsequently issued birth pool guidelines to midwifery organizations in Texas, has recommended that recreational tubs unable to be properly disinfected not be used, and as encouraged the use of standard written procedures. Legionniares’ disease attorneys Fred Pritzker and Eric Hageman are two of our lead lawyers. You can contact Fred and Eric using our free consultation form (click here now). We are not paid unless you win. “As this rare infection may have a high fatality rate if unrecognized, pediatricians should be aware of the possibility of the legionellosis in newborns. If your newborn displays symptoms of severe pneumonia after either a) a home water birth or b) delivery within a hospital, it is vital that they be tested in order to rule out the possibility of LD, which requires different medical treatment than regular pneumonia. Swift and appropriate intervention – typically, treatment with erythromycin / clarithromycin, can be life-saving; a delay in accurate diagnosis, however, weakens the prognosis. Legionnaires’ disease, especially within healthcare environments, is highly preventable, and thus healthcare providers are accountable for ensuring that their water systems and equipment are properly tested, monitored, and sanitized. If you or a loved one has contracted Legionnaires’ disease within a healthcare setting, our legal team can help you to define the course of action you should take to achieve the compensation to which you are entitled. For more information, please contact Fred Pritzker at 1-888-377-8900 or use our free online consultation form. Let us help you sue for compensation and justice. Gholipour, Bahar. “Baby infected in birthing pool died of LD.” CBS News citing article originally published on LiveScience. Web. 10 Dec. 2014. Franzin L, Scolfaro C, Cabodi D, Valera M, Tovo P.A. 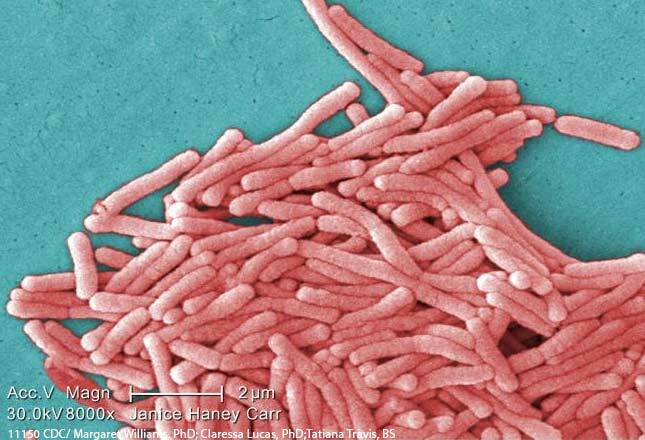 Legionella pneumophila Pneumonia in a Newborn after Water Birth: A New Mode of Transmission. Clin Infect Dis. (2001) 33(9):3103-e104. Web. 2015 Jan [date cited]. DOI: 10.1086/323023. Franzin L, Cabodi D, Scolfaro C, Gioannini P, Microbiological investigation of a nosocomial case of Legionella pneumophila pneumonia associated with water birth and review of neonatal cases (“Indagini microbiologiche su un caso di polmonite nosocomiale da Legionella pneumophila associata a parto in acqua e revisione dei casi neonatali”). Infez Med. (2004) Mar; 12(1):69-75. Web. 2015 Jan [date cited]. Phin N, Cresswell T, Parry-Ford F. Case of LD in a neonate following a home birth in a heated birthing pool, England, June 2014. Euro Surveill. (2014) 24 July:19(29). pii: 20857. Web. 2015 Jan [date cited].